Primasol Hane Garden is located 250 m from a sandy beach. 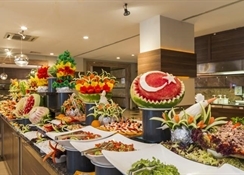 The closest cities to the hotel are ANTALYA (60 km), MANAVGAT (12 km) and SIDE (8 km). To make your stay more comfortable a conference room, air conditioning, a hairdresser, a lobby, a reception and shops are available. A playground for children is available. The hotel features a fresh water swimming pool, seasonally open. Amenities: For convenience the following services are offered: laundry service, medical care and ironing service. Internet access is provided in internet cafés. Sport and Leisure: At Primasol Hane Garden recreational amenities include a sauna, massages, a hamam and a spa. 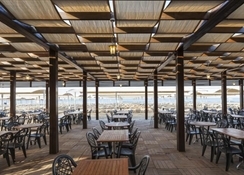 Activities such as table tennis, billiards, darts and miniature golf are offered at the hotel. 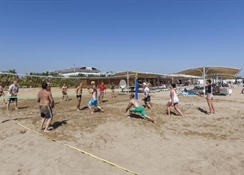 Guests who wish to be active on holiday can enjoy activities such as aerobics, exercise in the fitness room, beach volleyball and volleyball. Additional Information: Additional fees may apply for certain facilities, amenities or activities.